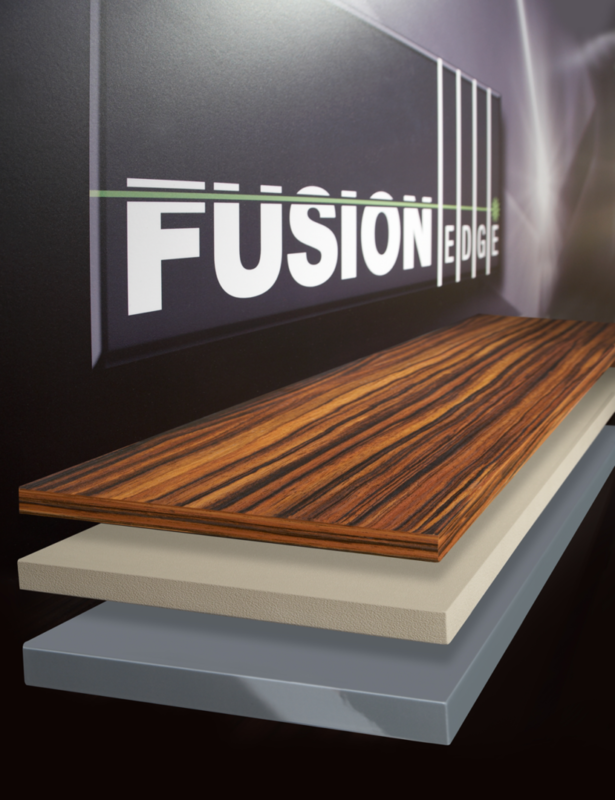 FusionEdge from Doellken is the latest advancement in Edgebanding technology. 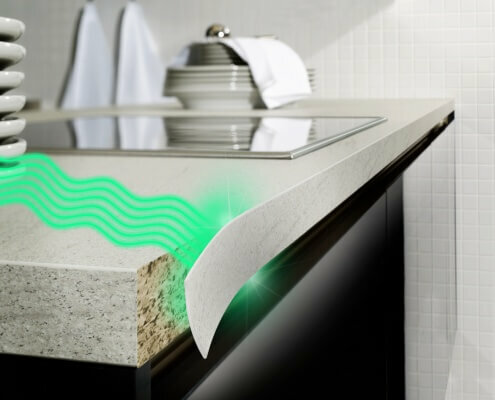 The pre-applied, color-matched adhesive on the back of the Edgebanding is activated with either a laser, hotair or infrared on machines from HOMAG, BIESSE, IMA, or Holz-Her. This technology eliminates the application of conventional Hotmelt Adhesives and gluepot maintenance while offering a very durable bond. RAMS Industries offers FusionEdge on a custom-basis with minimums of 10,000 feet. Please contact us to discuss your requirements and one of our sales associates will explain FusionEdge in more detail.